The skeleton of the original electrical system still runs along the walls in the garage – a stretch of individual wires held by knobs; passing though tubes as it goes between rooms. 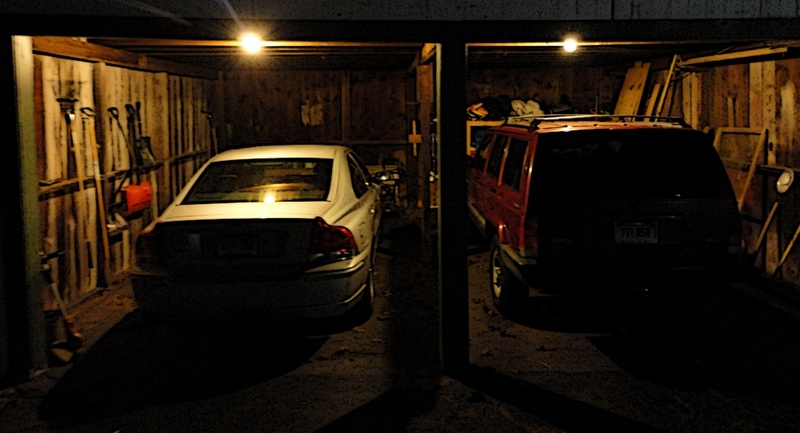 The garage has mostly stood dark for years after a previous owner had pulled the power out – I’m sure long after knob and tube wiring had faded from favor. A long extension cord could bring light temporarily into the structure, powered by an outlet on the side of the house. Finally, over the past couple of weeks I brought light back into the garage. I’m not quite done, but it is there – controlled by a switch – not plugged into an extension cord. This weekend brought outlets to the second floor. The lights there still need extension cords, but they are much shorter today – just running to the wall. Hopefully the next couple of weeks will bring switched lights to the second floor. This weekend was set aside for smaller projects. The weather today warmed up enough for Susanna to work on painting the trim around the sun-porch. I replaced a nearly broken flush switch on the toilet with a dual-flush system. I also cleared some items off the “honey do” list – okay, maybe only one item – I replaced the hinges on the kitchen cabinet door with self closing hinges. I had replaced all the other hinges on that cabinet years ago… I just had missed that one. We moved the wicker chairs from their temporary home in the trailer under the garage to their final spots on the newly painted front porch. I also picked up a free end table to go next to the chairs (it just needs painting and good to go). Yesterday afternoon I got estimates on getting a concrete slab poured for the entire garage floor – we decided to do two pours – one half of the garage in the fall, and the other half in the spring. Now I have to get started ripping out the old blacktop that is currently in the garage.